Many a time Nigerian road users fall victim of extortion of the law enforcement. Imagine a LASTMA official checking your car documents, this is not absurd but a slap on his employers. LASTMA officials are not meant to check neither are they to ask for car particulars. Ignorance is not an excuse in the court of law so its expedient one knows the duties of each law enforcement and try to decipher their modus operandi and what their line of duties. There are 4 authorized law agencies which are mandated by law to regulate traffic, cars, and roads in Nigeria. While some are restricted to state roads, the rest are everywhere. For those in Lagos, the fear of LASTMA, VIO, FRSC and Police call for wisdom but most times due to the way we fear these folks, they act mostly on illegalities. For example, a video was trending on Twitter over the weekend between a LASTMA official and a Taxify driver, according to reports, the LASTMA officer asks for the driver's documents and other items. What most drivers don't know that this is not their duty, this is the duty reserved for FRSC and Police alone and not the LASTMA or VIO. 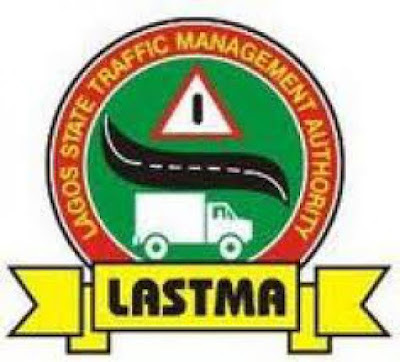 AutoReportNG decided its times to get our readers to enlighten on the duties of LASTMA, VIO, FRSC and Police on Nigerian highways. Vehicle Inspection Service (VIS) is a directorate in the Ministry of Transportation. The service is established to inspect, control regulate and enforce the roadworthiness of motor vehicles in the state. The Federal Road Safety Commission is the Government Agency with statutory responsibilities for road safety administration in Nigeria. Founded in 1988, the Federal Road Safety Corps (FRSC) operates in all Nigerian states as well as the Federal Capital Territory and is the lead agency in Nigeria on road safety administration and management. The statutory functions include: Making the highways safe for motorists and other road users as well as checking roadworthiness of vehicles, recommending works and infrastructures to eliminate or minimize accidents on the highways and educating motorists and members of the public on the importance of road discipline on the highways. - Making the highway safe for motorists and other road users. - Educating motorists and members of the public on the importance of discipline on the highway. - Making regulations in pursuance of any of the functions assigned to the Corps by or under this Act. In exercise of the functions, members of the Commission shall have the power to arrest and prosecute persons reasonably suspected of having committed any traffic offense. This is really informative and worth knowing. Thanks For the info , it would be helpful .